Yesterday we went to the cancer clinic at UNC Hospital for Harrison’s first chemo treatment since his release from the hospital. We had to be there at 7:00 so it was an early start. Because he was to be sedated for a spinal tap and bone marrow biopsy he couldn’t eat or drink after midnight, so he was starving on the way over. My heart sank as we drove into the circular driveway at UNC. I felt like I was going to lose the small amount of coffee I had that morning (no breakfast in solidarity, but I couldn’t operate without the coffee). But I held it together. Until I dropped off Ginger and Harrison at the front door. I pulled it back together by the time I walked across the bridge from the parking garage. There were several other little kids in the waiting room, with parents feeling the same way I was feeling. Suddenly it struck me that these are fellow-travelers on this hellish highway. I felt for them. And I looked at my little boy and felt for him as well. He’d done nothing to deserve this. Neither had they. When they called us to the back I was tense, nervous, and on the verge of tears. Harrison was strong and brave. They took his vitals and walked us back to meet the next person who would try to make things better: Jess. She’s what they call a recreation expert. Apparently her job is to distract patients. Gabby was the rec expert in the hospital. They are both great at what they do. Jess took the “chemo duck” and stuck a needle in his chest, just like they would do to Harrison in a few moments. He seemed to be settled by the display. Me, not so much. When she stabbed the duck, Dr. Weston (who is great), said, “Aflac.” That was a nice touch. Even I laughed. In God’ kind providence we drew Dr. Weston as our primary physician. Jess asked Harrison if he knew why he was getting the chemo. He answered, “Because I have leukemia.” Ginger wept. I bit my lip. Harrison was matter-of-fact. It was the first time he’d said it that way. I wished at that moment he’d never been forced to utter those words. From there he went to wait. He played some crazy computer game for a few minutes until the nurse came to install the needle and line in his chest (called “accessing his port”). He was scared, but brave. We prayed together, asking God for safety and a good report. We prayed for Dr. Weston and the other medical professionals. All the tears shed yesterday were those of adults. We then went back to the procedure room; like an operating room with bright lights and monitors everywhere. The anesthesiologist connected a syringe with white liquid to his port. Harrison blinked twice and dropped off to sleep. We kissed his head and left to wait on him. After 15 or 20 minutes they rolled him out, still sleeping. No problems, the doctor told us. We offered gratitude to the Lord. We were in a large room with several beds and about ten comfortable looking chairs. All too small for adults. Every one of the them filled with a child getting treatment. I think I knew one little boy and his parents. We’ll get to know a lot of them before this treatment is over. The nurses then administered the chemo. This time didn’t take too long. He was asleep the entire time. On future visits he’ll not be sedated so will need a way to pass the time. Most kids were playing video games or iPads. When he finally finished the treatment we went to the waiting room until he was free to go. A mom introduced herself to us. I’d noticed her sweet daughter in the bed next to Harrison’s. I overhead them trying to wake up her with promises of a “Christmas party.” Nicole, the mom, remarked that we looked, “new.” She could see the “sense of shock” on our faces, she said. In August of 2010 she was right where we are today. It was remarkable how kind and caring she was. Her daughter is Ashley. She’s been in treatments for nearly 18 months, with several hospital stays. Nicole and her husband encouraged us greatly. We’ll perhaps see them every Tuesday. We’d probably never met otherwise. Now, we share a common bond. We prayed for Ashley and her parents. Dr. Weston gave us some good news before we left. Harrison’s blood counts were very good. We were elated. God continues to amaze us. As if we’d not been encouraged enough yesterday, we came home to a number of cards for Harrison from friends and teammates. One card read, “Get well quickly, we can’t go undefeated again without you.” Harrison smile. Me too. Then, out of the blue, the head baseball coach at N.C. State University called for Harrison. Harrison couldn’t believe it. He was so encouraged. Our first day of chemo had a rough start. But by the end, we are again celebrating the goodness of our God. Harrison’s been so blessed by the cards, calls, letters, and visits. His parents as well. As Harrison enjoyed another night visiting with his grandparents, we recalled again that those who went out with sorrow returned with laughter and joy. The Lord is our refuge and strength, and we’re daily amazed at the ways he is choosing to be present with us. Continue to pray for that the treatment will induce remission. Permanent remission. Also pray that we’ll not miss the Gospel in all of this. God has come near to us in Christ. We want to enjoy his presence. Thanks for all you have done. You don’t know me. We have never met before, but I have cried, rejoiced, prayed, and laughed with y’all over the last few weeks. I have been so burdened for you, yet been so encouraged. Please keep the updates coming and know that you are being prayed for. I hope to one day meet y’all. My husband and I attend Redeemer Community Church. Randy and April are in our community group. What a blessing its been to be on this journey with you. We serve a great, mighty, loving God and its been so fun to see all of His little kindnesses (as April would say) already. We hope you guys have a very merry Christmas treasuring God and your sweet family. We heard about Harrison’s leukemia through Randy & April; my husband is on the faculty at STS. We, and many others at STS/Colonial are praying for your son. We share your elation that Harrison’s blood work results are good and there is a cancer hospital nearby. Thank you for sharing your journey on this most treacherous road. May God’s blessings, comfort, and peace be evident to your family this Christmastide. Today, you have me weeping with you, Steve, asking God “why” with you, and emoting deeper than I have in years. Thanks for sharing with us and helping us prepare for the emotions that many of us will someday share in our own trials with the disease. I’m also thanking Immanuel for having walked and walking this dark road called humanity with us. It sounds like you guys are on your way to being VIPs with the NC State coach calling!! Hang in there!! I wondered if you guys would do a caring bridge site so the kids from NRCA can send well wishes and follow a blog of how Harrison is doing. My daugter Ashley sends well wishes and prayers his way!! Our hearts go out out you both are you are having to endure these most difficult of times with your sweet son. Please know that your family, especially Harrison, are being lifted up daily, and often hourly, in prayer to our mighty and healing Heavenly Father. We are following along in this journey with your family through this blog. Thank you for your transparency and willingness to share such intimate details of your lives. This blog has and will contine to be a growing experience for everyone that has the opportunity to read it. 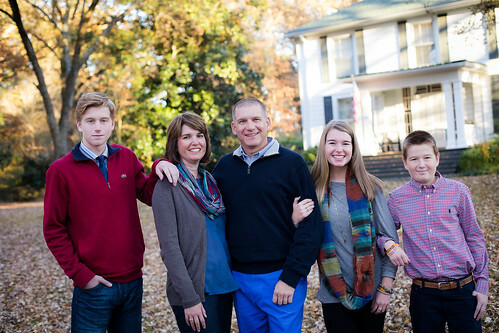 We pray that the Lord will richly bless each member of the McKinion family this Christmas season, and always. I heard about Harrison and his family through my good friend JJ Barton. I think about Harrison and all of you constantly. I know that our friend Elliott Avent has gotten in contact with Harrison and the rest of you. Elliot has been very touched by all of you. My hope is that Harrison is encouraged by all the support and is able to pull strength from all of us. He has a lot people “rooting” for him. I have to tell you that I lost my mother when I was 1 years old (almost 54 years ago)to leukemia, so hearing about Harrison has really tugged at my heart. There are so many medical advancements today. I’m really encouraged by that and hope that you are also. My family prays that God spreads his blessing on each of you at this time. So few words after reading this – will keep praying. We hope to come visit Harrison soon, or at least the guys want to come. Maybe after Christmas settles down. Tell Harrison we said HI!